Clover Configurator – Changelog – What’s New in Version 5.4.1.0 (Feb 6th, 2019) Updated Boot -> Arguments section Fixes and improvements Download here. 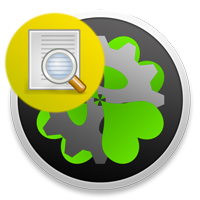 Clover Configurator – Changelog – What’s New in Version 5.2.1.0 (Oct 10th, 2018) Updated Install Drivers and Kext Installer tools Improvements and fixes Download here. Clover Configurator – Changelog – What’s New in Version 5.2.0.1 (Sept 1st, 2018) Improvements and fixes Download here. Clover Configurator – Changelog – What’s New in Version 5.1.5.0 (Jul 27th, 2018) Updated ig-platform-id in Graphics section Improvements and fixes Download here. Ozmosis Configurator – Changelog – What’s New in Version 1.2.2.0 (Jul 20th, 2018) Updated SMBIOS platformdata Updated ig-platform-id Download here.